There's still time to participate in the Oscar portion of Project T.A.R.O.T. Submission deadline is February 19th. Results will be posted before the Academy Awards air on February 26th. 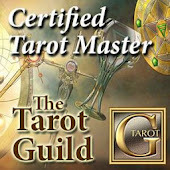 Please email your prediction (including the cards pulled for each and the deck used) to Reenee@TarotGuild.com. Thank you for your participation in this project. Labels: Oscar, predictions, Project T.A.R.O.T.